Mercedes-Benz Financial is rolling out a branded lease protection product that can spare customers lease-end wear and tear charges that could lower the amount they would otherwise put down on another car. 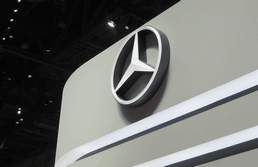 A pilot program for Mercedes-Benz First Class Lease Protection began in June. Sales penetration ranges from low single digits for dealerships that just started offering the product to as high as 50 percent of all lease customers for dealerships that have been selling it longer, the company says. The policies are offered in most U.S. markets, but not yet in New York or Connecticut, where the company is working to comply with insurance regulations. A lot of dealer research went into the product, says Anamika Singhal, general manager of Daimler Insurance Americas, which, along with Mercedes-Benz Financial, is a unit of Daimler Financial Services. “Dealers weren't selling much of this at all,” when they offered third-party aftermarket lease protection exclusively, Singhal said in an interview last month. In its research, the company found that when customers have out-of-pocket expenses at the end of a lease, that amount often comes straight out of the amount the customer would otherwise put down on a new car. The charge irritates the customer, and a lower down payment makes it harder to finance the next car. The net effect is the same, even if the customer has an aftermarket lease protection policy, Singhal said. That's because the customer usually has to wait to be reimbursed for their wear-and-tear charges, which can take days or weeks by the time a third-party insurance company re-inspects the car. Even then, the customer might not be reimbursed the entire amount, she said. Instead, the factory-endorsed First Class Lease Protection acts more like a waiver for up to $7,500 in wear and tear charges and up to $200 in missing parts. That means the customer doesn't have to lay out the money and then get reimbursed. That's also a higher limit than competing aftermarket policies, which typically top out at $2,000 to $5,000, Singhal said.